Today was a logistics day to get back to Warsaw for our return flights tomorrow. 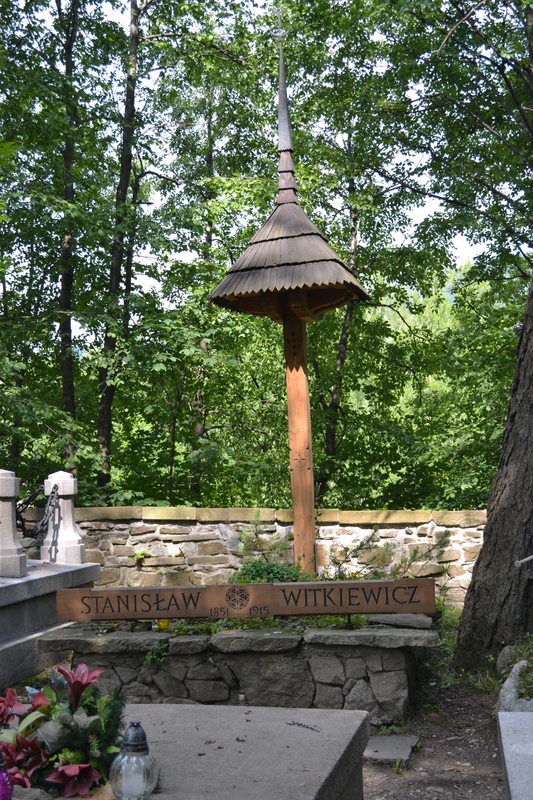 We started with another walk through Zakopane, this time to visit the Cmentarz na Pęksowym Brzysku cemetery. 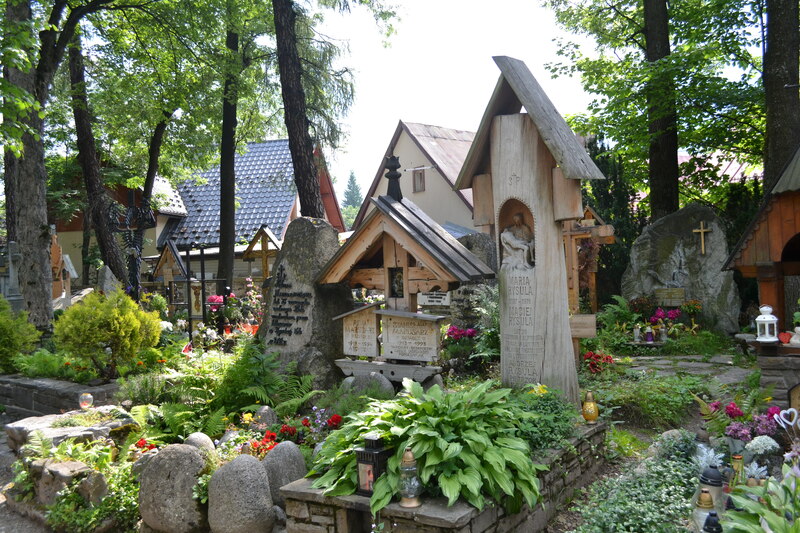 Next to a church that dates back to 1841, it has some amazing wooden tombstones. Take a look! We then started the 5 hour drive back to Warsaw. For lunch, we stopped at the Fashion House Outlet Center in Sosnowiec, really only because it was at an exit that had the food sign on the highway. We ate a not so great meal at the food court, but I did happen to find a Polish soccer jersey at the Nike Outlet Mall, which adds to my collection from Barcelona, Argentina and a Ireland rugby jersey. It is the only souvenir I look for anymore. Just after 6pm, we made it to the Warsaw Airport. We are staying for free using Marriott points at the Courtyard here, so that we have it easy making our flight at 12:25pm tomorrow. We executed the fun ballet of checking into the hotel and bringing our luggage up, returning the car, taking the Europcar shuttle to the airport, then buying bus tickets to take the 175 back into Warsaw. We found a modern Polish restaurant, Opasly Tom in town. I had spinach and ricotta ravioli, Ellen had pasta and boar. We had lody (ice cream) one last time, and took the bus back to the hotel. We’ve had a great trip, Ellen did her usual phenomenal job of planning the itinerary and selecting the hotels. I’ll share my thoughts on Poland in a post soon. 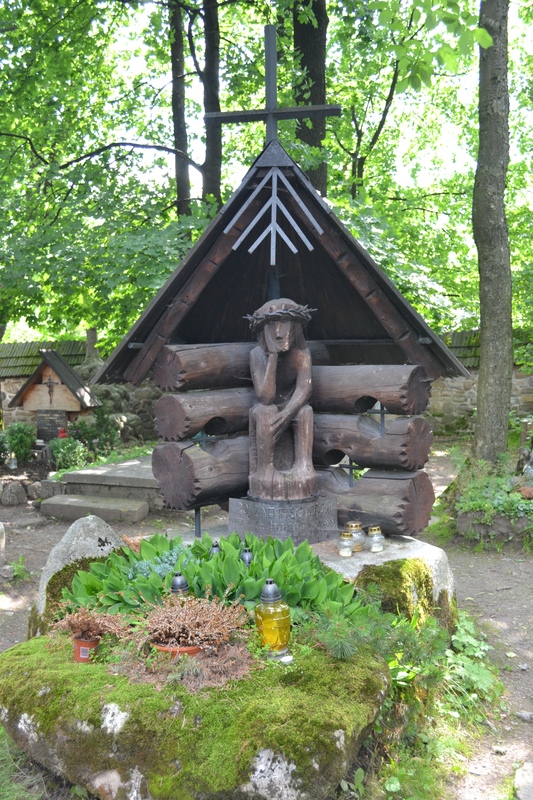 This entry was posted on Tuesday, July 8th, 2014 at 5:26 pm	and posted in Poland, Zakopane. You can follow any responses to this entry through the RSS 2.0 feed.